Bentonite slurry is a combination of sodium bentonite and slurry. 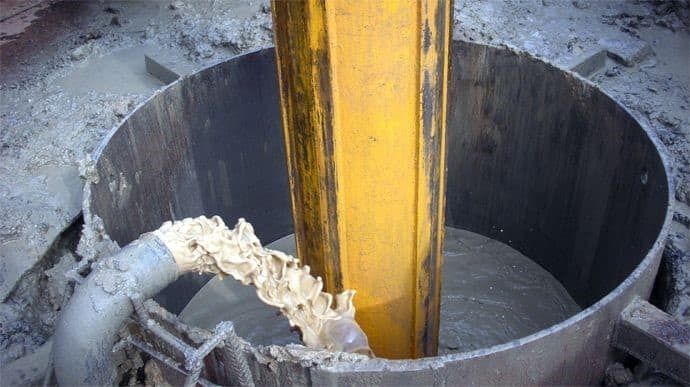 A slurry is a thin sloppy mud or cement or, in extended use, any fluid mixture of a pulverized solid with water, often used as a convenient way of handling solids in bulk. This combination is frequently utilized to form a solid protective barrier in the ground. 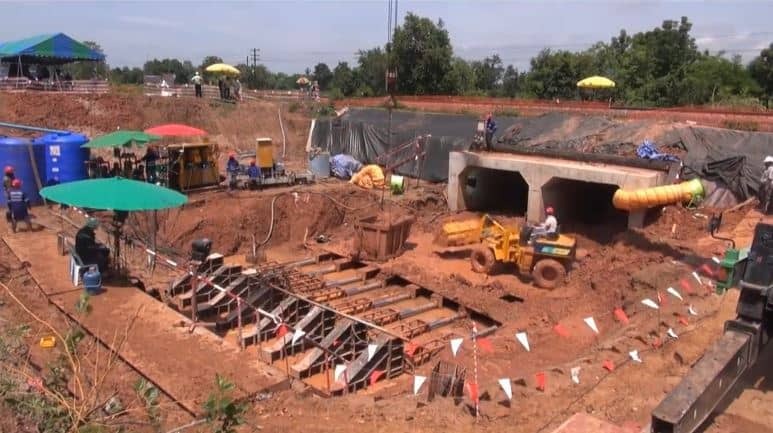 This also finds its application in the construction of special foundations for digging diaphragm walls and bored piles. Bentonite is implemented for self-hardening mixtures which are then resorted to build cut off walls, grouting mortars, and grouting. Finally, bentonite waterproofing properties are best exploited in environmental engineering, to seal off soil infiltrations, and line the base of landfills. The acknowledgement of bentonite as an important construction element is still in its untapped stage, since a substantial percentage of foundations and other civil engineering activities are still employed without using bentonite and are resulting in much higher expenditure as cast iron of steel liners are used. The perception regarding the use of bentonite in the stream of civil engineering industry has yet to go a long way. Bentonite is used in the construction industry mostly in a fluidic state which is commonly known as bentonite slurry because of its rheological characteristics. As a water proofing and sealing agent. Bentonite slurry is developed with an aim to attain maximum hydration of the bentonite, hence its powder must be put to the mixing water slowly so as to make sure that all the particles are irrigated and do not get lumped into partially hydrated balls. Potable quality fresh water should be used in the mixing process to obtain the best results. A chemical analysis should be done to ascertain the suitability of the water if there is any doubt. If needed, chemical treatment is given to the water before its usage. The preparation of Bentonite slurry is done either in batches or in a continuous process, which depends on the type of equipment used. 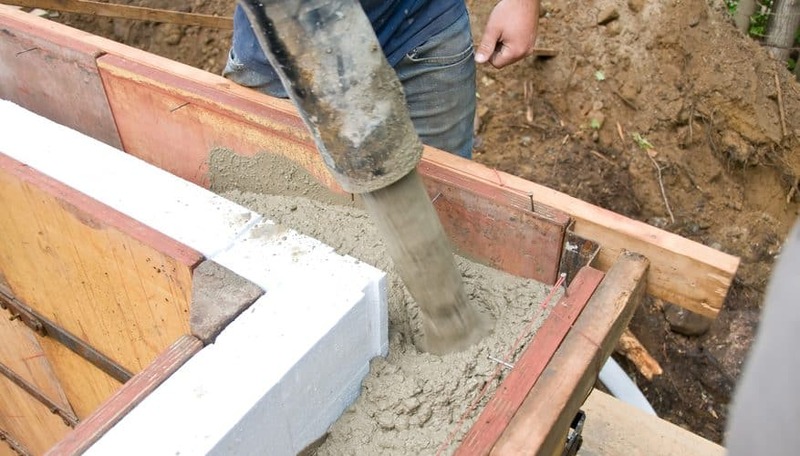 The bentonite powder is put in a high shear mixer through a simple venturi-hopper. To assure the dispersion of all the individual bentonite particles in the mixing water, the mixing equipment must generate sufficient shear. The adequate amount of bentonite powder to be added to the mixing water depends on the quality of the bentonite and the required viscosity of the slurry. For most applications, concentrations between 4% and 6% by weight are typical. Supports the excavation by exerting hydrostatic pressure on its walls i.e. to prevent the collapse or retain an area. Remain in the excavation, and not flow to any great extent into the soil thereby acting as a sealant. Suspend debris and prevent sludgy layers building up at the base of the excavation. 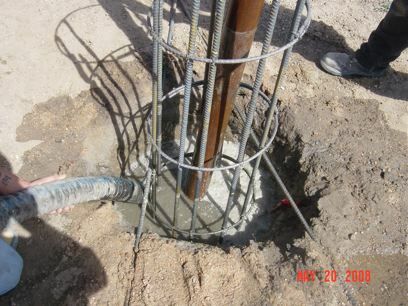 Staying non-reactive by clean displacement by concrete, with no significant interference with the bond between reinforcement and set concrete. Cleaning to remove suspended detritus, by passing through screens and hydro cyclones, in preparation for re-use. The primary objective of any bentonite slurry specification must be to assure that the slurry is proficient enough, of fulfilling functions of a retainer, sealant and to stay insular without any harmful effects on the finished pile, wall or other form of construction. Bentonite slurry can be re-used repeatedly provided its properties are carefully monitored and kept under control. 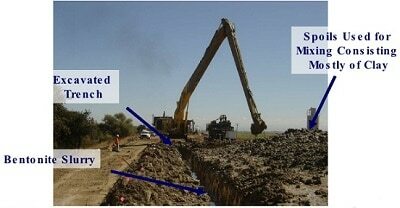 Loss of slurry will occur no matter what type of excavation is used.